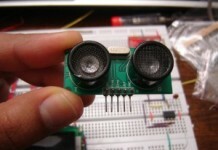 It is a very popular project. 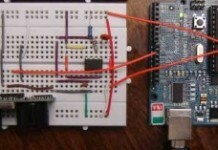 You can get full instructions for making this project on http://www.arduino.cc/en/Tutorial/Ping. 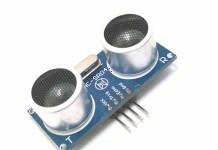 In the site, you can see other projects related to ultrasonic range finder. 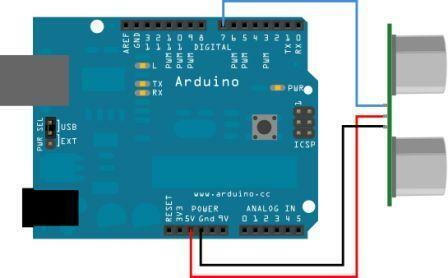 You have to connect the range finder to the arduino board in the following way. 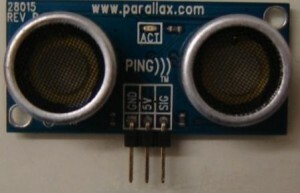 Connect SIG pin of range finder to DIG 7 pin of arduino board.